How To Install Windows XP From USB Drive? Home > Tips and Tricks > How To Install Windows XP From USB Drive? We always use CD/DVD to setup Windows XP/ 7 or Vista. Isn’t it? If you don’t have CD/DVD on your computer or laptop and you need to install Windows XP from USB drive, Then what you will do? 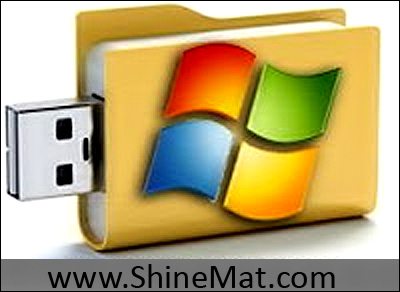 You can easily install Windows XP from USB drive or even from your mobile memory card also. For doing this, you have to make your removable disk bootable. Don’t worry, it's very easy. SEE ALSO: How To Format Write Protected USB Drive? Note: To install Windows XP from the USB drive, first make sure that your computer or laptop supports boot from removable disk, if not support you can not setup windows from the USB drive. 2. After downloading wintoflash software, unzip it and run Wintoflash Wizard. 3. Now from Windows File Path browse Windows XP if you have Windows XP as a backup on your hard drive. Otherwise, you have to use another computer’s CD/DVD drive to do that. 4. Connect your USB drive to your computer or laptop. Browse your pen drive from USB Device Path and select your pen drive. 5. Click Next button and wait until it finishes. 6. Now select your 1st boot option to the Removable device or USB Drive from motherboard BIOS settings. 8. After boot from USB drive select 1st, text mode setup (Boot from flash again after finished) and complete format process and copy windows files. After this, your computer will restart automatically. 9. Then select 2nd, GUI mode setup, continue setup + 1st start of Windows and complete the install Windows XP from the USB drive. That’s it. Isn’t it so easy? Be happy and keep visiting to get more latest tricks. Wow, this is new stuff for me. Never imagine this is possible for Windows. I only heard something similar for jolicloud and Google Chrome OS.